Teams of 4 people seek pledges from friends, family and co-workers to curl for a great cause on Sunday, November 18! A whole day of fun with silent auction, 50/50 raffle, prizes and food! 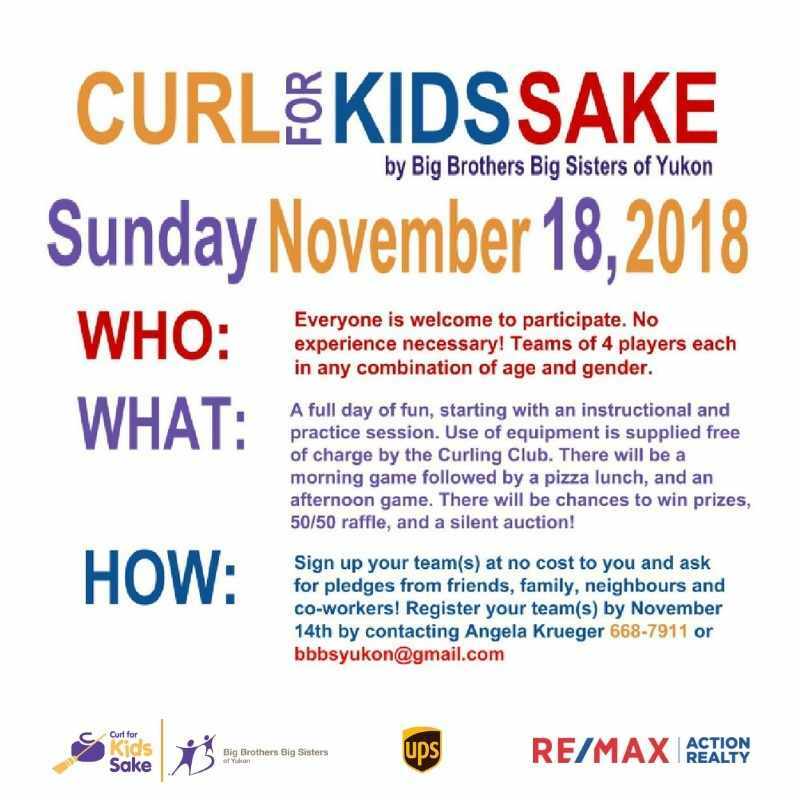 To register contact Big Brothers Big Sisters of Yukon 668-7911 or bbbsyukon@gmail.com.